Leveraging diversity involves creating a forum where team members are encouraged – and challenged – to create self-awareness around preconceived notions. It is my belief that political correctness is one of the biggest impediments to clear communication. I say this because I’m faced regularly with situations in companies where everybody is talking, but saying nothing of relevance. Why? Because, if we can’t be open and honest about our fears, differences, personal biases and so on, these emotions go underground and manifest in behaviour which reinforces our negative value-judgement of stereotypes. We make the mistake of conflating political correctness with being decent and acceptable to our team mates who differ from us in ethnicity,gender,age,religion,culture,appearance,language…...all in the name of communicating clearly and honestly. By the time you have sanitised every word that passes between you and someone else, how much of real value is actually being communicated? Can any of you see the problem here? Everyone is entitled to be treated equal, but luckily not everyone is the same. Ignoring our differences does not constitute internalising acceptance of them; rather it highlights our avoidance of them. Celebrating our differences and capitalising on their potential to enrich our team dynamic is more than okay – it’s mandatory!! Noting the presence of- and working actively to harness the resource of diversity in others is a clever, clever strategy. It’s also highly ethical, benefiting both the individual and the company. We spend so much time pretending that, despite the fact I’m a 55 year old, white female and you’re a recently graduated, coloured male of 26, we’re both exactly the same. Whew, what a stupid and insincere approach. We’re both going to lose out big time! You’ll lose out on the benefit of my life experience. I’m going to lose out on the benefit of harnessing your fresh, new approach to situations. In essence, we’re going to dance around each other, rather than identify and build on the very real resource that actually comprises our different focusses, priorities, approaches, and so much more – the very fact that we are different is a blessing, not a curse! This came home to me in a very real way some years back. I was working with a company on a Diversity workshop comprising most of their staff. Initially, there was a low level of engagement – after all, they’d had the diversity issue drummed into our heads from every angle, it’d all been said over and over again! I could see many of them were thinking this would prove a waste of time and couldn’t blame them. If it was going to be another day of saying what they think they should and avoiding the stuff they desperately needed to address, why were they there? Again! I quickly moved them out of their complacency through the introduction of a simple, yet incredibly powerful, exercise. The purpose of this particular game was to clearly illustrate how we’re all seeing the world through the lens of our own life experiences. Their level of engagement jumped dramatically when they were able to see, in a very practical manner, that every one of them had interpreted the instructions in their own unique way. In addition, each of them felt their interpretation was the correct one. Understand, this was a pretty well integrated team – ostensibly they were all ‘on the same page’. Interestingly, when I stated at the outset that my aim was to replace political correctness with meaningful communication, I could sense the level of defensiveness increase immediately. I have to admit to feeling a tad teary when she said this, and everyone gave her a round of applause. Understand, this hadn’t turned into a group therapy session; it was simply a day spent actually talking to colleagues rather than talking at their perceived stereotypes. Is the diversity within your company working to your advantage, or is miscommunication and the resultant resentment killing productivity? Give us a shout – we’re really good at what we do because we too are a highly diverse and extremely passionate team. We don’t impose our ideas - we help people to express their own in a professional and structured environment. 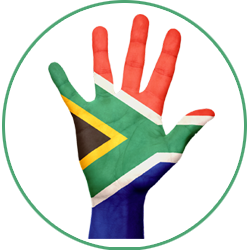 Email us at info@StaffTraining.co.za for more info on our Diversity training, or give us a call at 0861 996 660.